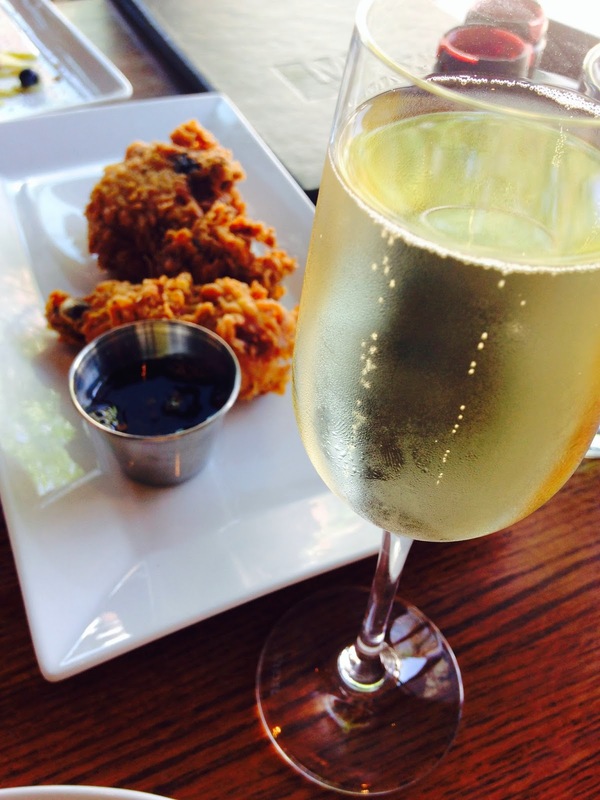 Fried Chicken & Champagne...Why the Hell Not?! Texas-based MAX's Wine Dive opened in June in Wicker Park, offering "gourmet comfort food" along with a selection of wines. The Chicago location is the first outside of Texas. 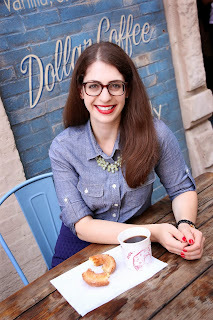 I was invited in to try out weekend brunch, so my friend Meg and I stopped by during Wicker Park Fest on a Sunday. 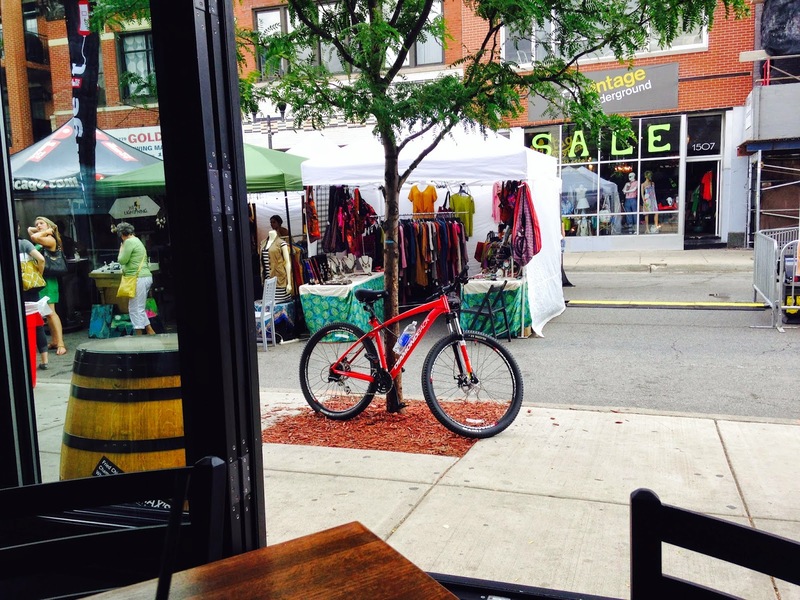 The restaurant was lively, bright, and open, affording us views of busy Milwaukee Avenue. What we thought would be a light brunch, ending up being one of the most decadent meals I've had in quite some time. 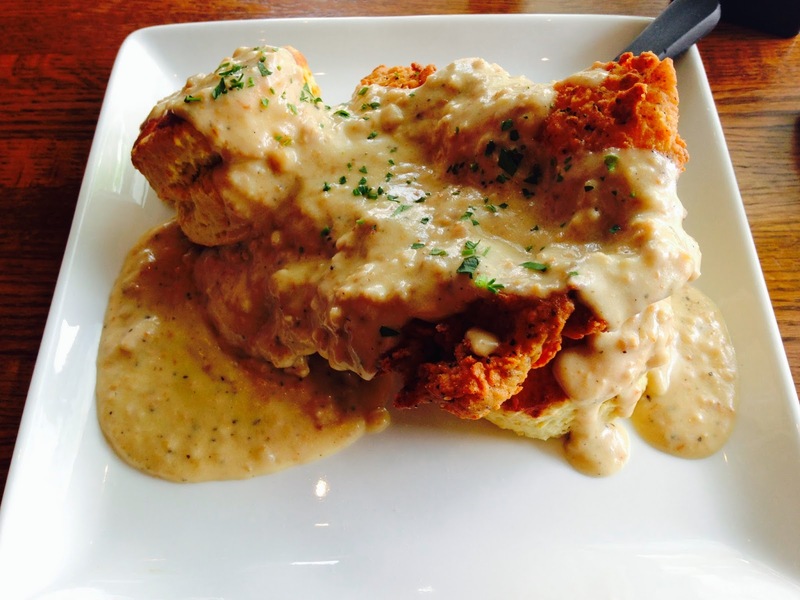 The staff brought out several tasting portions of dishes including Crunchy Steak and Biscuits, which is essentially chicken fried steak, sausage gravy, and housemade biscuits. This was quite a heavy dish to start off with, but it really hit the spot. I loved the batter on the steak, and the fluffy biscuits. Next up was a sweet dish, Vanilla Bean French Toast. 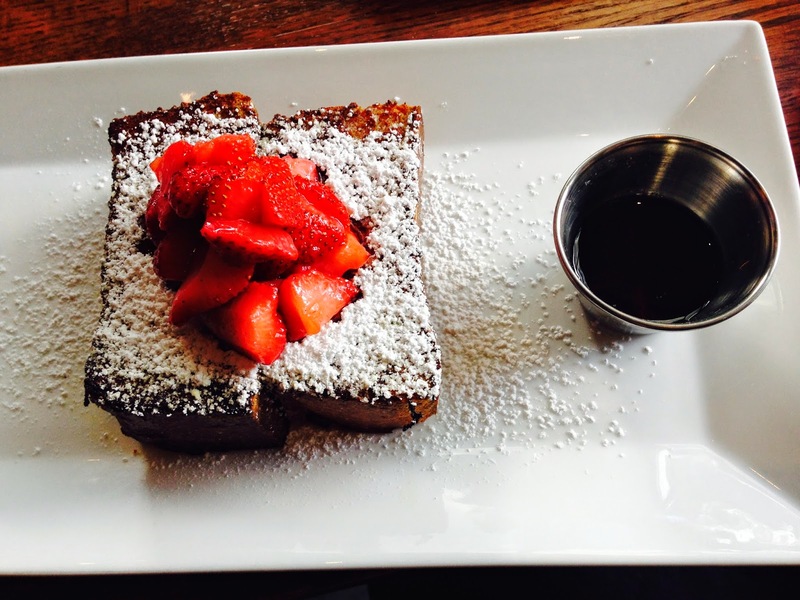 Thick pieces of Texas toast are smothered in a vanilla bean batter, griddled, and topped with macerated strawberries and Burton's Maplewood Farms syrup. I wish I had thought of Texas toast French toast earlier! It was amazing. 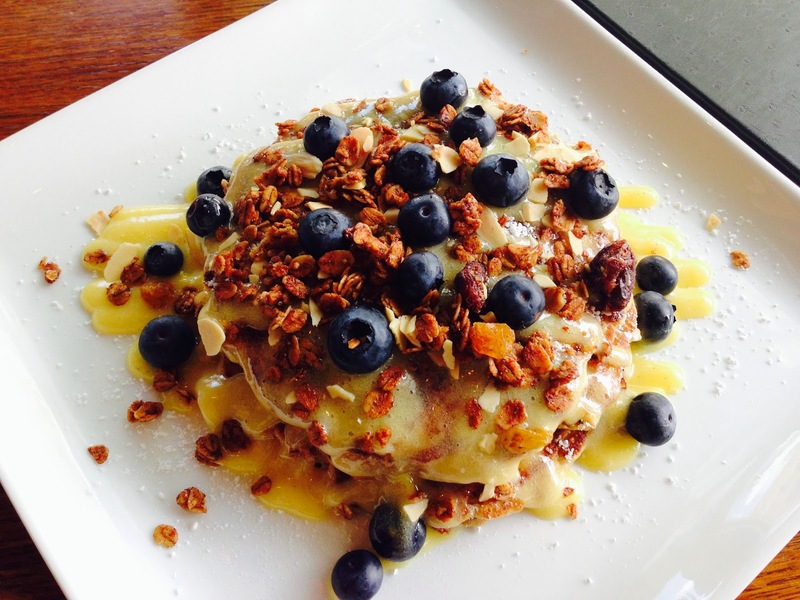 Continuing on with the sweet dishes was the "healthiest" item of the morning, the Whole Wheat Blueberry Pancakes with lemon curd, blueberries, and almond granola. I don't typically like lemon, but it just worked with the pancakes. 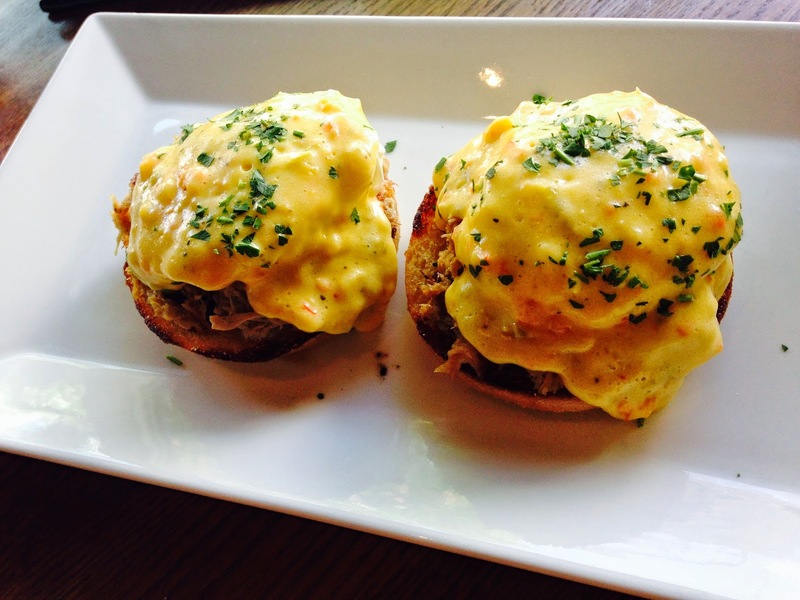 Eggs Benedict is a dish I never order since I'm not a fan of Hollandaise, but the version we tried converted me. The Braised Pork Belly Benedict featured giardianera Hollandaise, and perfectly-poached eggs. The spice was a great combo for the sweet and smoky pork belly. This definitely was a favorite of ours. 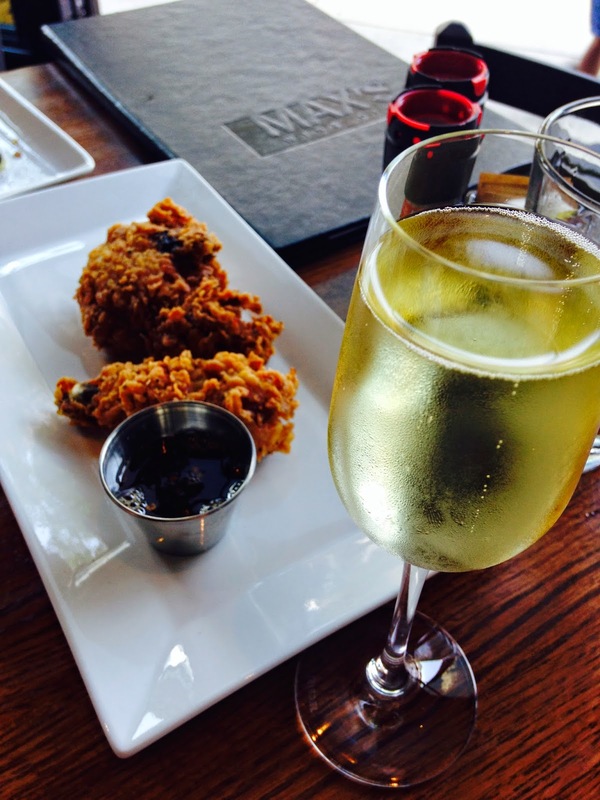 If there's one thing MAX's is know for, it's their combination of fried chicken and champagne. While one may be skeptical of such a pairing, I can personally vouch for its awesomeness. We tried two pieces of chicken and I was blown away. The chicken is marinated in a jalapeno buttermilk and fried fresh to order. The meat falls right off the bone with the poke of a fork, and the crispy skin is not drenched in grease. Now I know why MAX's fried chicken is award winning! I loved how the bubbles of the champagne cuts the salty, savory flavor of the chicken too. It just works! 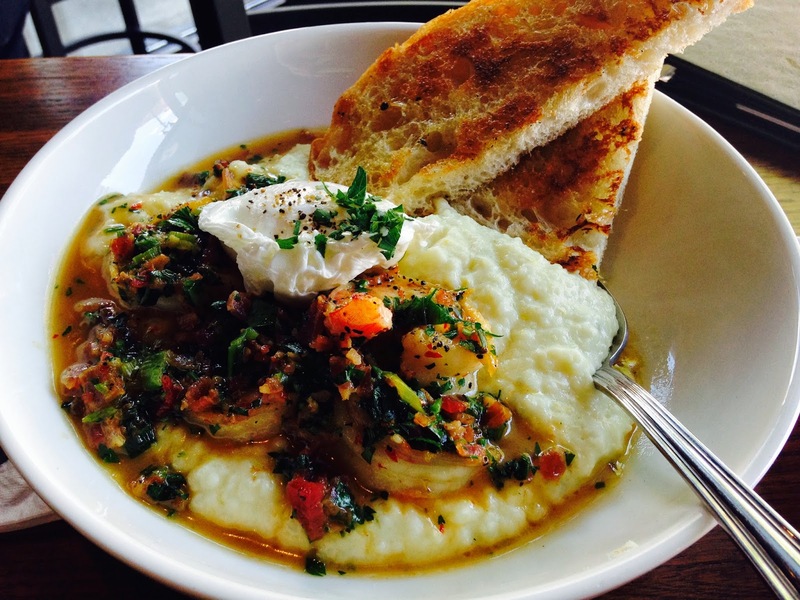 Lastly, we tried the Shrimp & Grits with bacon, scallions, parsley and jalapeno cheese grits, in a butter broth topped with a poached egg. We were quite impressed with the poached egg yet again--it was so damn perfect. The creamy, spicy grits were also fantastic. Our brunch was insanely rich and left us not needing to eat for another day. While this may not be food for those on a diet, every item we had would make it easy to justify a "cheat day". 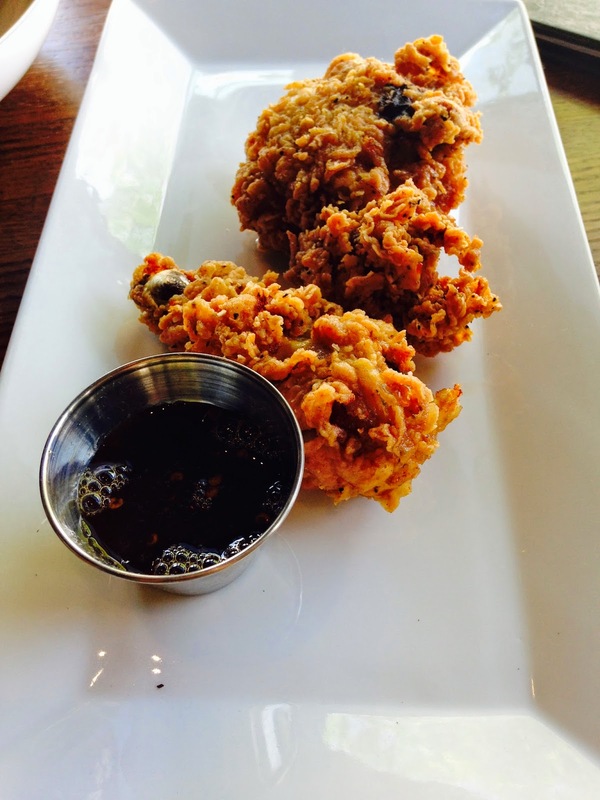 I'm now a fried chicken & champagne enthusiast, and I must say, don't knock it 'til you try it! MAX's also began offering "Saturday Morning Cartoon Brunch" featuring a menu of childhood-inspired dishes, such as pepperoni pizza bagels, the Scooby stack with graham cracker pancakes, chocolate butter and crunchies, and housemade marshmallow sauce, and bacon pancake dippers. They also offer a candy mimosa bar, and a six-person ice cream sundae! Going along with the theme, diners can play retro games such as Hungry, Hungry, Hippos, Connect Four, and Don't Break the Ice, while watching classic cartoons including Scooby Doo, The Flintsones, and Looney Tunes. Talk about a unique brunch option! Cartoon brunch is available every Saturday throughout the summer. Note: my meal at MAX's Wine Dive was complimentary; however, the opinions expressed herein are my own.